Go West! FIeld Day - A Mega Field Trip Experience! Go West! 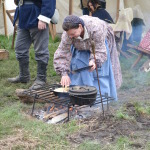 Field Day is a unique field trip experience that incorporates skilled reenactors, historic experts and carefully crafted hands-on activities to immerse students in the historic frontier while at the home of the famed frontier freighter Alexander Majors. What will students see and do? Why Field Day instead of a standard field trip? Go West! Field Day is like a field trip x 10! 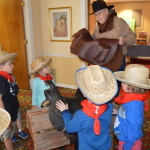 While we do often have reenactors at standard field trips, Go West! 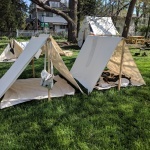 Field Day will be special in the sheer concentration of reenactors and activities available to students, giving students an experience that will truly transport them back in time. The cost of Go West! Field Day is comparable to a normal field trip at the Majors House, and actually less expensive in some cases. Alexander Majors built his house in 1856 as the headquarters for his massive freighting firm Russell, Majors & Waddell. His business spurred the growth of early Kansas City – his business’ demand for cattle was key to the early development of the Kansas City stockyards! 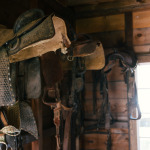 Majors would later go on to become co-founder of the famed Pony Express. His story touches on many elements of westward expansion: transportation and communication, slavery and freedom on the frontier, and contact with Native American tribes in the West. How does this fit into my curriculum? 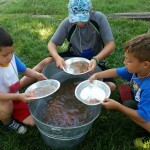 In particular, our hands-on “Load the Wagon” and “Panning for Gold” activities incorporate math skills into fun, hands-on experience that engage critical thinking and historic immersion. Field Day is particularly appropriate for meeting fourth and fifth grade social studies expectations, but all ages are welcome and will have an enjoyable learning experience. Field trips take approximately 2 hours. Cost is $7/student and free for parents/chaperones. To book your school or classroom, email programs@wornallmajors.org or call 816-444-1858. We will walk you through any questions you may have. You will receive an informational sheet with detailed logistics and expectations after registration. Some funding may be available for Title I schools concerned about cost.